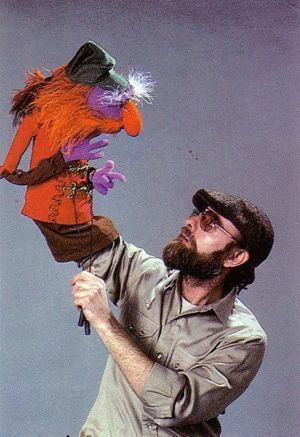 I just learned this morning that my personal favourite Muppeteer, one of the original greats, Jerry Nelson passed away last night. Let's all just take a moment to reflect on this guy's amazing life. Read his page over on the Muppet Wiki and you'll be shocked at how accomplished he truly was! I can't understate the influence the Muppets and Jerry Nelson especially have had on me throughout this life. Heck, without the Muppets, this website wouldn't even exist! And that's the least of it. Jerry Nelson has helped to teach me how to be a better man over the years! He will truly be missed. Here's my absolute favourite version of this song...I like it better than Paul Simon's! Jerry Nelson will truly be missed! Thanks for everything, man. Wow. This is very sad news indeed. Thank you Jerry Nelson for all the wonderful things you were kind enough to share with the world. Floyd is one of the best, and of course, so was Jerry.